Assistance Dogs NI train assistance dogs to help support people with disabilities and children with autism across Northern Ireland. They are using the £10,000 Big Lottery Fund 10th Birthday grant to train two assistance dogs and place them with families who need support. Michelle and Adam Barker from Cullybackey nominated the group for the 10th Birthday competition, and the organisation was one of the lucky winners. 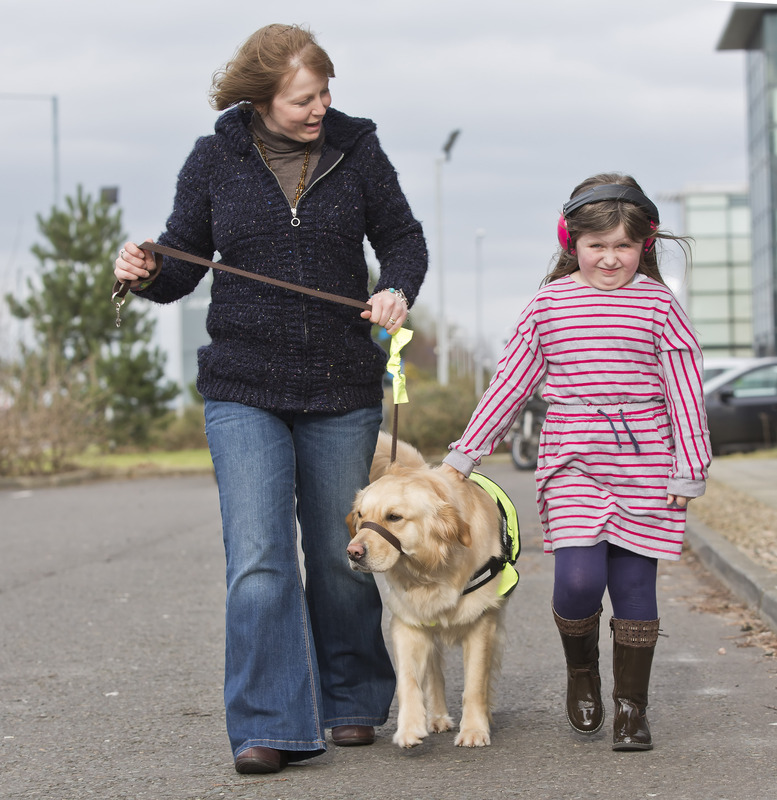 The Barkers told how assistance dog Honey had transformed their daughter Rebecca’s life. “We are a family of four now. Honey is just one of us,” says Michelle. But the relative calm of the busy Barker household today is a far cry from the anxiety in the months following seven-year-old Rebecca’s diagnosis with Asperger’s, a complex form of autism. “We didn’t know anything was ‘wrong’ until she went to school – there always seemed to be a reasonable explanation for any of the things we might have wondered at about,” recalls Michelle, a full-time mum. However, although they had a diagnosis the family had little else as they began their journey into unchartered territory. “Rebecca is constantly trying to make sense of a world where nothing seems to make sense and so she becomes extremely anxious,” explains Michelle. “For instance, she has sensory issues – a label on the back her jumper can feel like a piece of barbed wire, or someone accidentally bumping into her can really hurt. As Michelle frantically trawled the net that night for some sort of help she found Assistance Dogs NI’s website. “These were dogs specially trained to help people with all sorts of needs. We filled out the form to apply for a dog and waited,” says Michelle. “Rebecca calls Honey her sister and her hero – they are inseparable,” says Michelle. “We can’t believe the difference in our wee girl. It’s like we’re only getting to see the real Rebecca now. “If she has a meltdown Honey licks and comforts her so Rebecca calms down right away. 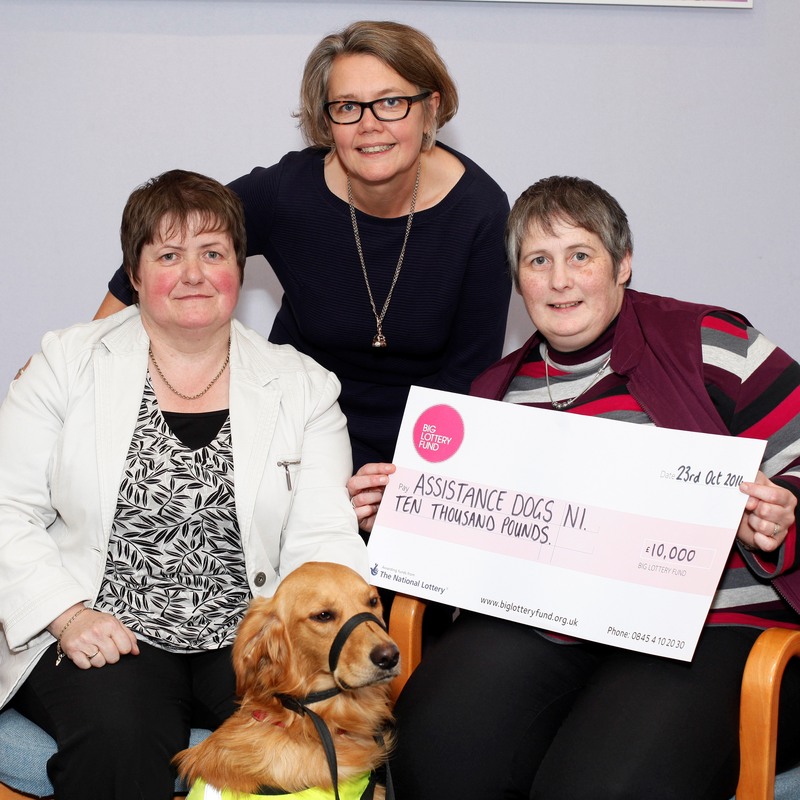 Assistance Dogs NI will use the money to train two assistance dogs and place them with families who need support. 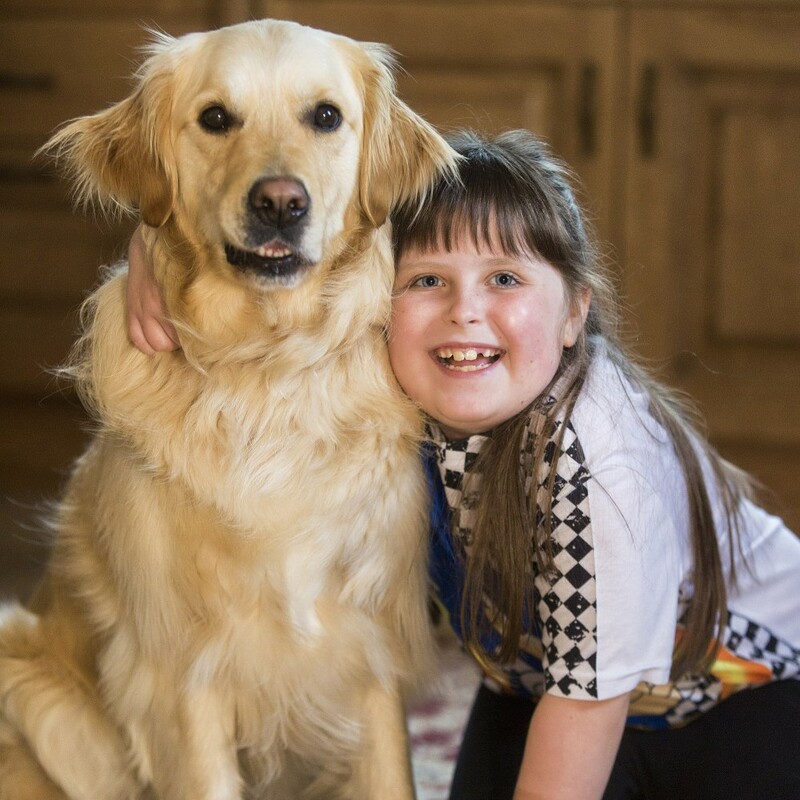 For Geraldine McGaughey, chairperson with Assistance Dogs NI, Rebecca and Honey’s story sums up what their work is about. “We are thrilled to have won this money from the Big Lottery Fund. Quite simply, it will transform lives and will go towards training more dogs to help children and adults like Rebecca. Rebecca and Honey, a few months on, have become inseperable.